In Room 14 Tinkering is integrated across our school day. This week for Shared Reading, we have read "Kahu Ora" a story from a Gold Junior Journal. During Fono times, we sit with our buddies and have a copy that we read along with Mr Cassidy. We inquire, ask questions, clarify unknown words and then make connections. For Morning Missions we tinker in our Makerspace and create or reinvent ideas from the story. We use Maths concepts such as measurement and logic to make decisions about our designs and to help re-evaluate. Did you know Kahu Ora means a living cloak? At first we thought it was actually about a coat that could breathe and live a life. 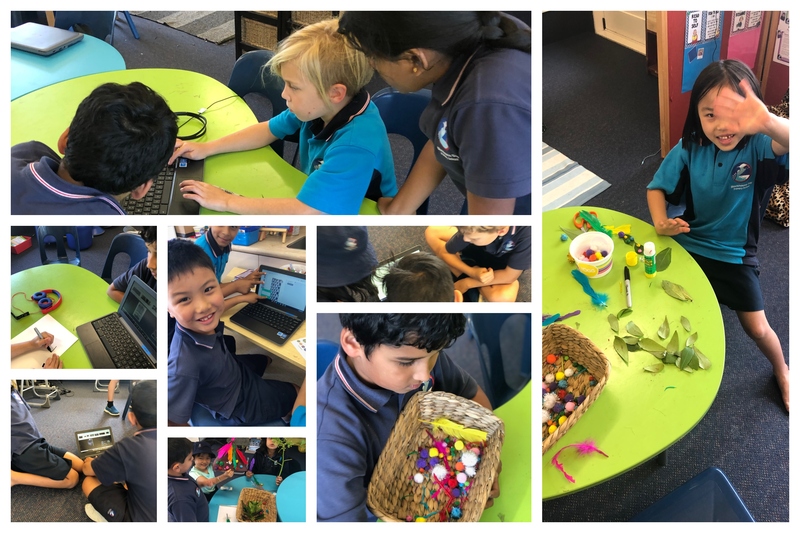 We then did some research on our chromebooks and found out that Kahu Ora is a Korowai which is a traditional Maori Cloak. We decided to make our own with our working wakas.